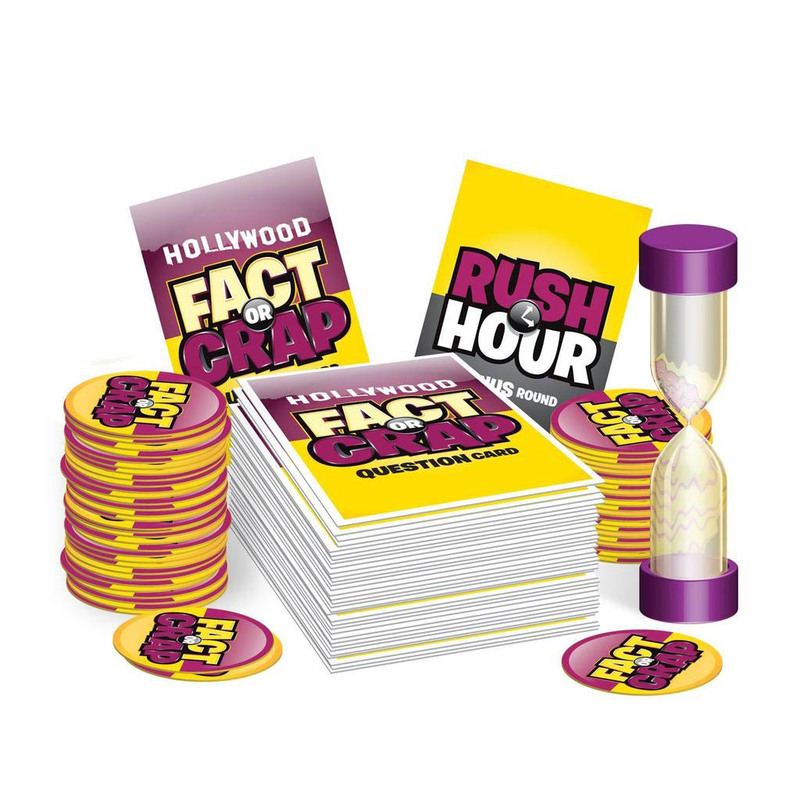 Fact or Crap Hollywood Edition lets you uncover the outrageous truth about Who's Who in Hollywood by asking the only question that counts: Is it Fact, or Crap? We’ve dug up the dirt on Hollywood! Fact or Crap Celebrity Edition lets you uncover the outrageous truth about Who’s Who in Hollywood by asking the only question that counts: Is it Fact, or Crap? In this fast-paced trivia game, your aim is to wow the opposition with how much you know about Hollywood celebrities and their paparazzi-filled world. Get to the truth of it all with Fact or Crap Celebrity Edition! Uncover the outrageous truth about Who’s Who in Hollywood by asking the only question that counts: Is it Fact, or Crap? Answer correctly, and you&apos;ll win tokens. Choose the wrong answer, and give up a token! The players with the most tokens at the end wins! Includes Rush Hour cards: Answer quickly to win the most tokens possible! 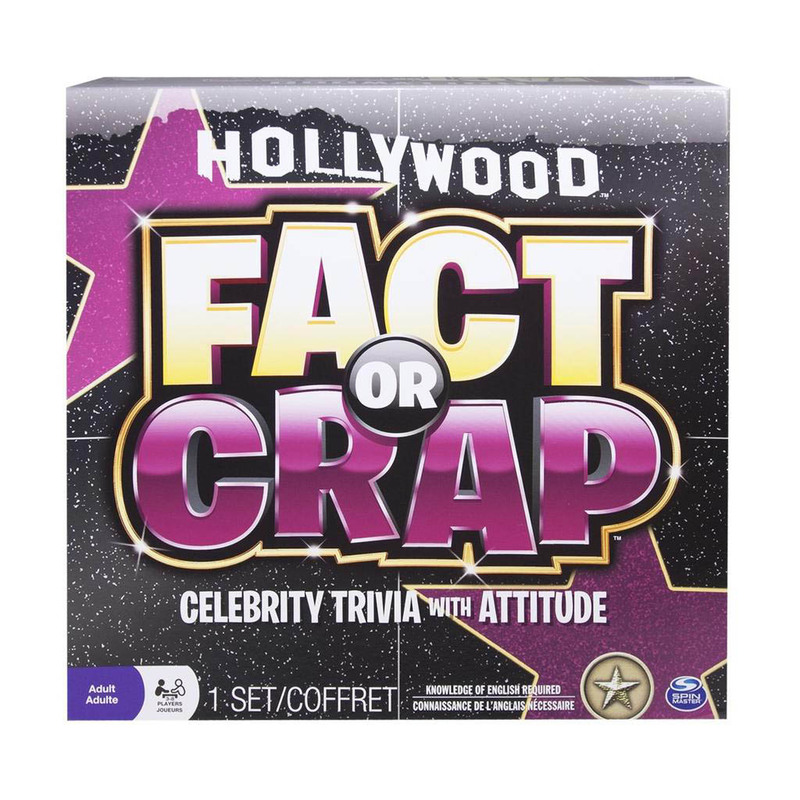 Fact or Crap Celebrity Edition has tons of celebrity trivia with attitude and is made for 3-8 adult players.